Cape Town – Bell Pottinger CEO James Henderson said on Tuesday he disagreed with Lord Bell’s view regarding the company taking on the Guptas as clients, a report in UK-based PR Week revealed. This follows an earlier report in PR Week on the same day, in which Lord Bell - co-founder of Bell Pottinger - told the PR magazine that the firm ignored his warning not to take on the Guptas, as the brief sounded “smelly”. 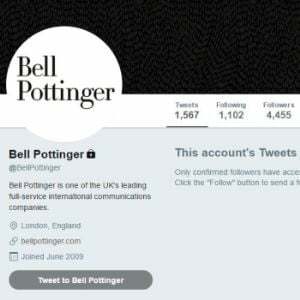 Bell Pottinger has been accused of stoking racial tensions in South Africa's 23-year-old democracy, which is still trying to resolve deep divisions and pain from the apartheid and colonial eras. It cut ties with Oakbay earlier this year after social media attacks on the firm. Lord Bell, who left the company last year, told PR Week that the Gupta-owned Oakbay account was one of the reasons for his departure. He slammed Henderson’s statement that he was misled by lead manager Victoria Geoghegan, who was dismissed last week. "He is the chief executive for God’s sake, it's his job to know what is going on," he said. The man behind former British Prime Minister Margaret Thatcher’s election victory in 1979, Lord Bell said his warning came after he met the Gutpas and Oakbay executives with other Bell Pottinger employees in early 2016. However, Henderson told the magazine that Bell Pottinger “completely disagree with his version of events”. Henderson said in a statement last week that the firm called in Herbert Smith Freehills to review the account and the work done on Oakbay. “That investigation is still continuing and will be completed in the next few weeks. We intend to publish the findings of that report and take appropriate action,” he said, adding a full apology to all effected. The Economic Freedom Fighters also rejected the apology and the Democratic Alliance wanted more to be done aside from the apology. “Bell Pottinger - acting in partnership with its client - sowed racial mistrust, hate and race-baiting, and divided society,” said Save South Africa. A Change.org petition with over 13 000 signatures will be delivered to UK Labour Party leader Jeremy Corbyn and UK Prime Minister Theresa May in bid to get them to launch a parliamentary investigation into the matter.